They say that 40 is the new 30, but for the Communiqué directory 40 means 40. That is to say, 40 issues (and counting) that combine leading agencies with analysis, best practice and opinion to produce the essential guide to healthcare communications. 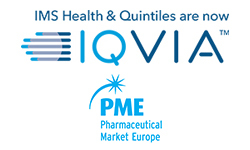 Time stands still for no-one of course, and as agencies change personnel, name and affiliation Communiqué has been there to provide an indispensible guide to med comms. This issue is, I hope, no different. With the team at PMGroup still buzzing from one of our best ever Communiqué Awards, we bring you the full results from the 2017 programme. So, whether you’re looking to do some discreet window shopping for your next agency or fancy taking a look at some shining creativity and executional excellence, you’ve come to the right place. 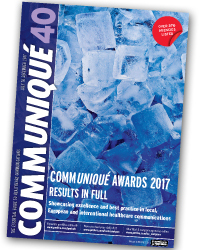 With all the results from the 2017 Communiqué Awards at your fingertips, issue 40 of the Communiqué directory offers a myriad of examples of communications excellence. From professional education to live events, integrated brand communications to payer and policymaker communications, and many more besides, we’ve got it covered for you in this edition of Communiqué.